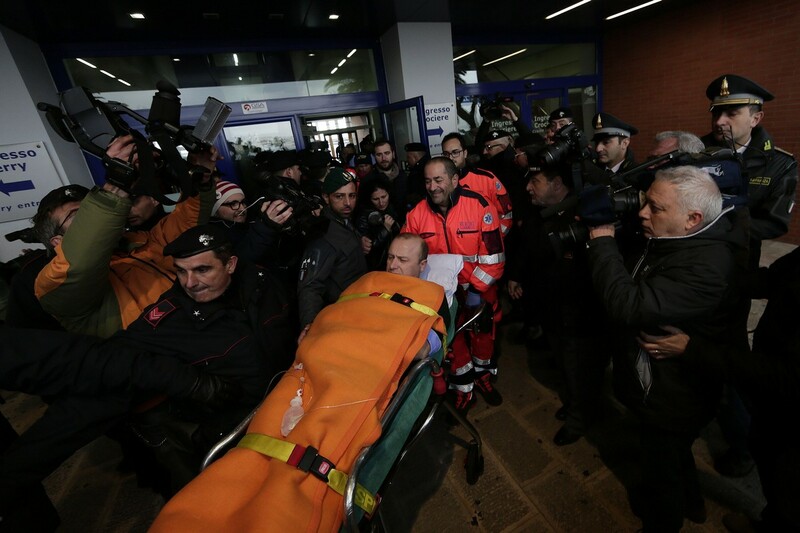 ROME - Ten passengers dead, dozen unaccounted for and no-one able to say with any certainty how many people were on board the Norman Atlantic when it burst into flames. 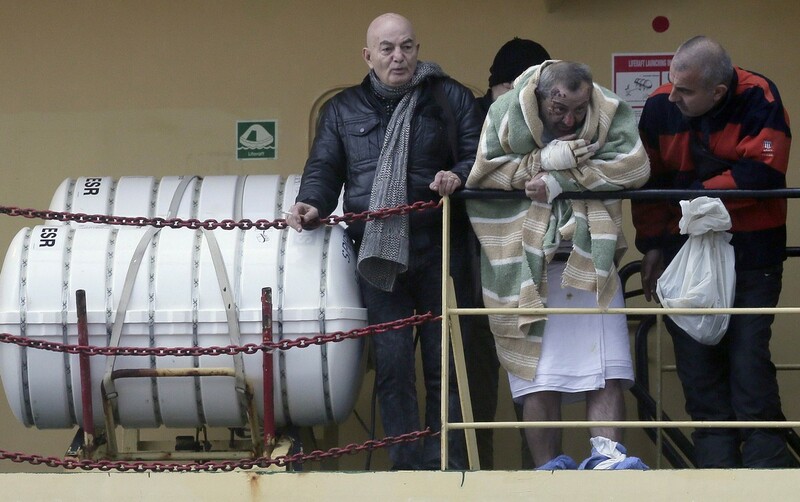 A Greek ferry tragedy in the Adriatic appeared to be turning into a murder mystery on Tuesday as a fiasco over the accuracy of the passenger list added to questions over safety systems aboard. 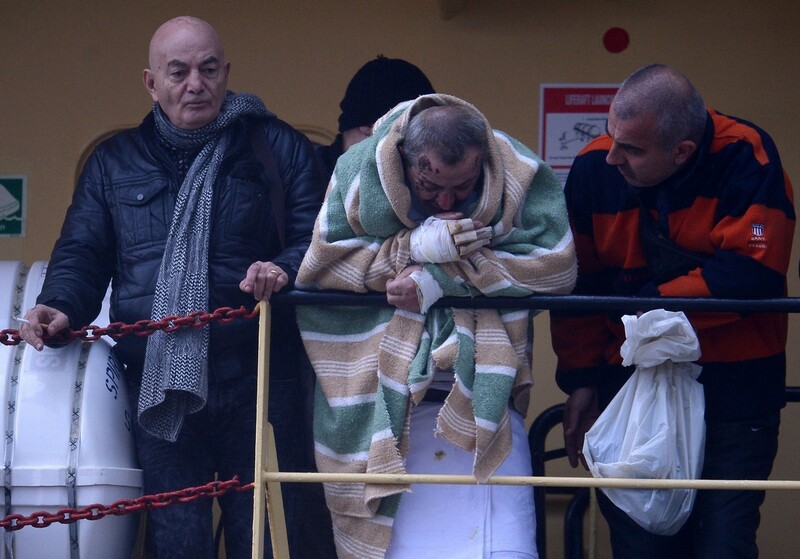 The ill-fated ship claimed two more lives when two Albanian seamen died from injuries sustained when a cable linking their tugboat to the ferry snapped. 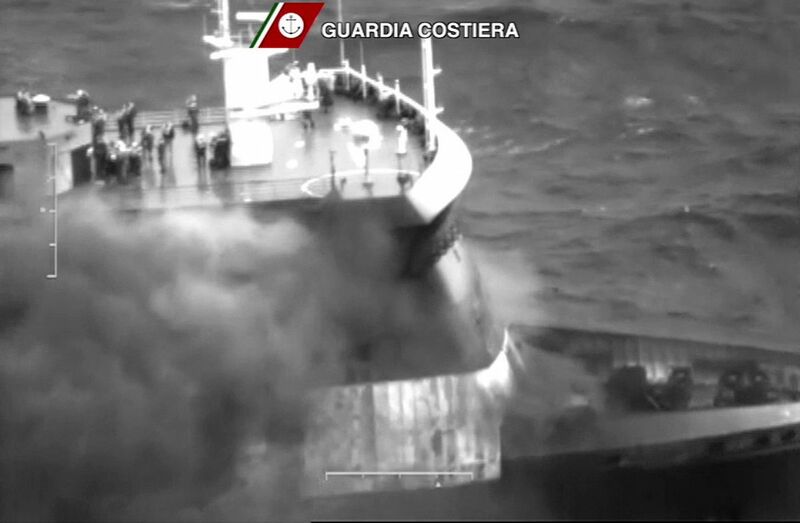 With conditions in the eastern Adriatic still extremely rough, Italian authorities decided to try to tow the ferry to port in Albania rather than risk the longer crossing back to Italy. 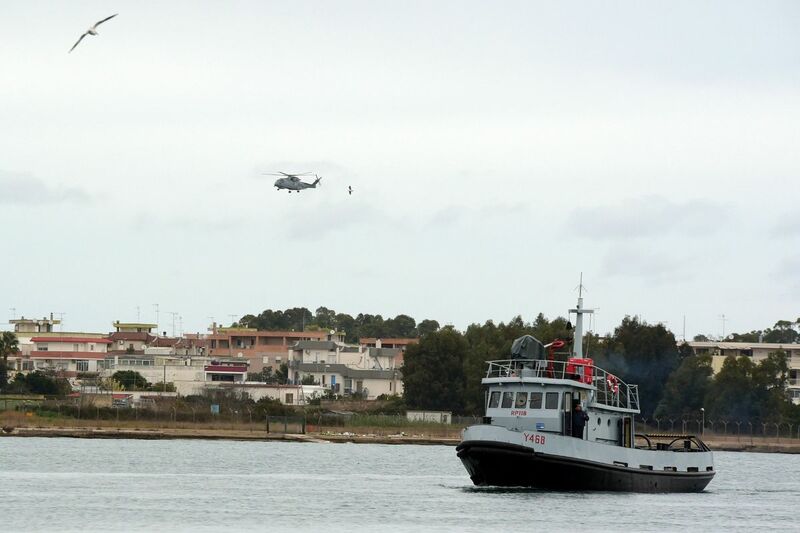 Amid the uncertainty over the passenger numbers, Italian coastguards and navy helicopters were continuing to scour the waters around the stricken ferry in search of the bodies of nearly 40 people who may or may not have been on the boat when it left the Greek port of Patras on Saturday. 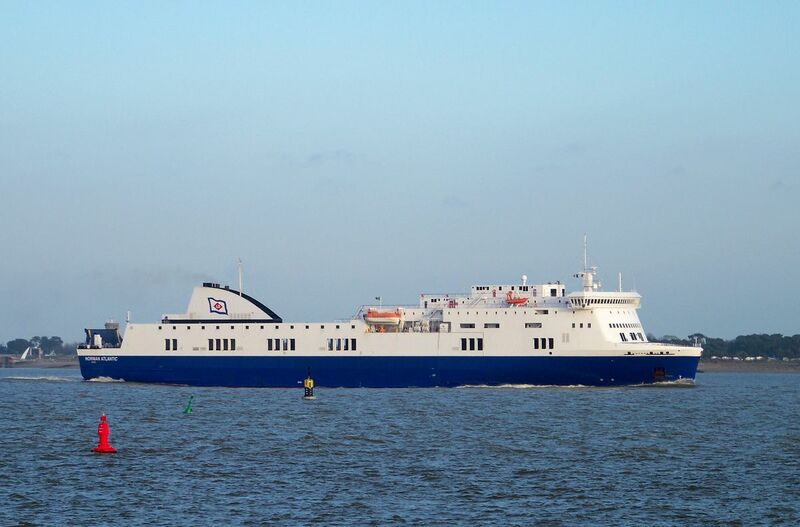 Officially, 437 people who were on board have been accounted for, 38 short of a revised total of passengers and crew released by the ship's operator ANEK Ferries. 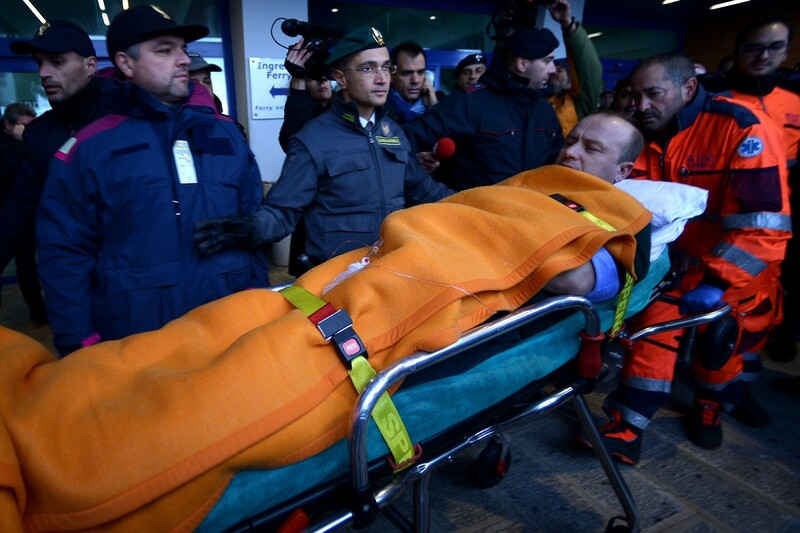 But government ministers in both Greece and Italy have confirmed that there are significant discrepancies between the list released by ANEK and the people saved. 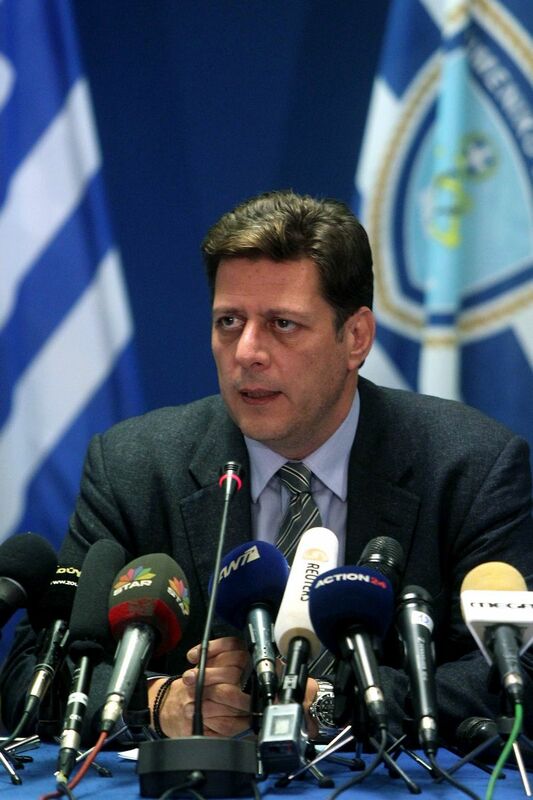 Greece's Merchant Marine Minister Miltiadis Varvitsiotis has admitted that one person appeared twice on the ANEK list and complained about poor communication with Italy. "I strongly doubt that all the names on the list are real," he said. 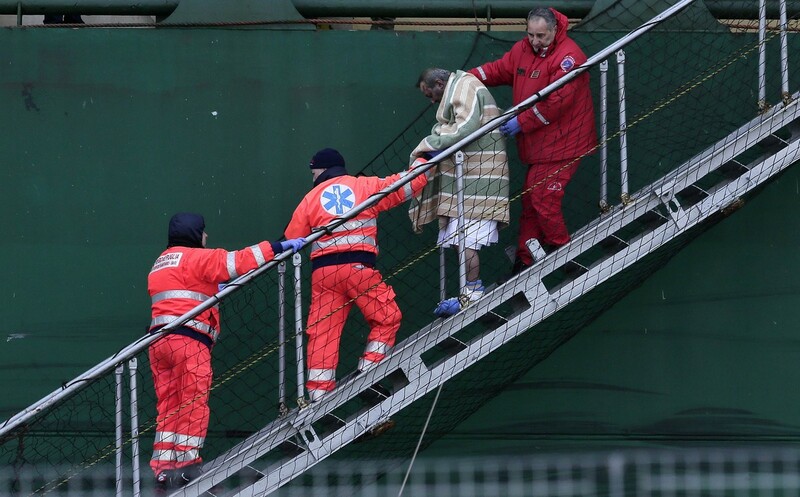 Italian officials have meanwhile acknowledged that the people rescued included an unspecified number of stowaways, including some Afghan nationals, who would not have been on the passenger list. 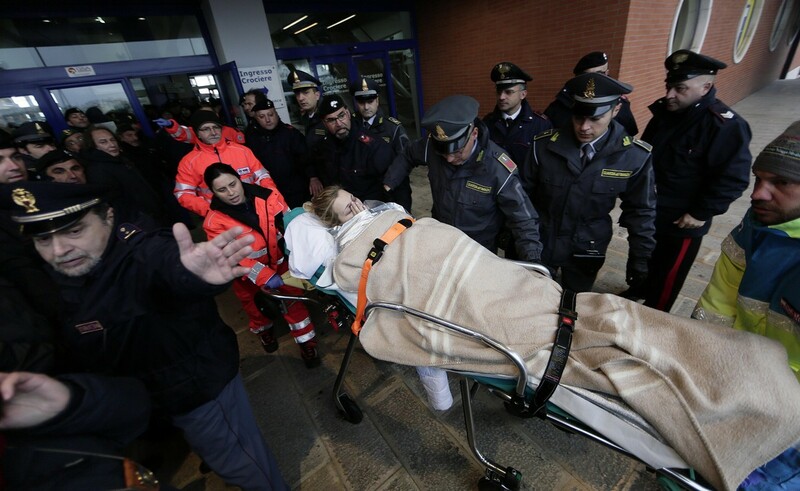 A prosecutor in the Italian port of Bari was due to outline the terms of a criminal probe into the disaster in which the ship's Italian owner, ANEK and its Italian captain are all expected to be investigated for suspected manslaughter. 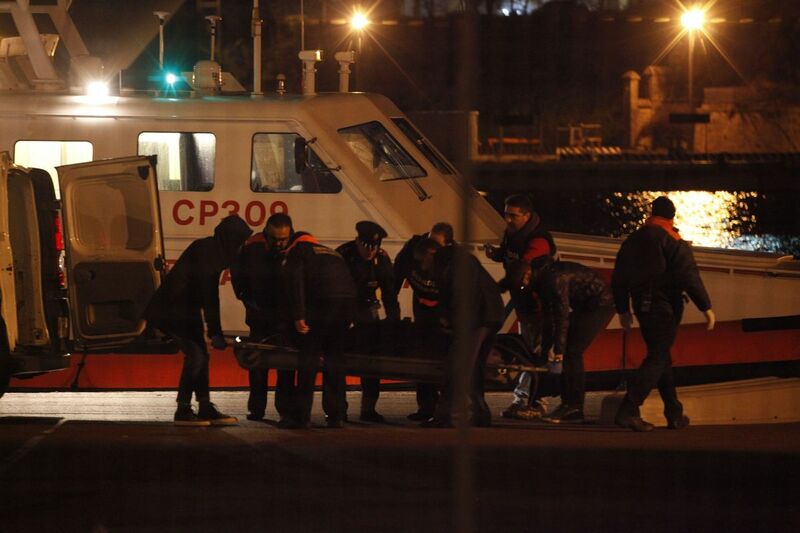 The accounts of passengers evacuated from the ferry after a terrifying 24-hour ordeal have depicted the Norman Atlantic's crew as being completely unprepared to deal with an emergency. Many have told how it was either thick smoke or other passengers who woke those who were sleeping in cabins, rather than crew or alarms. Almost every survivor who has spoken about what happened has said they received no instructions from the crew about what to do. 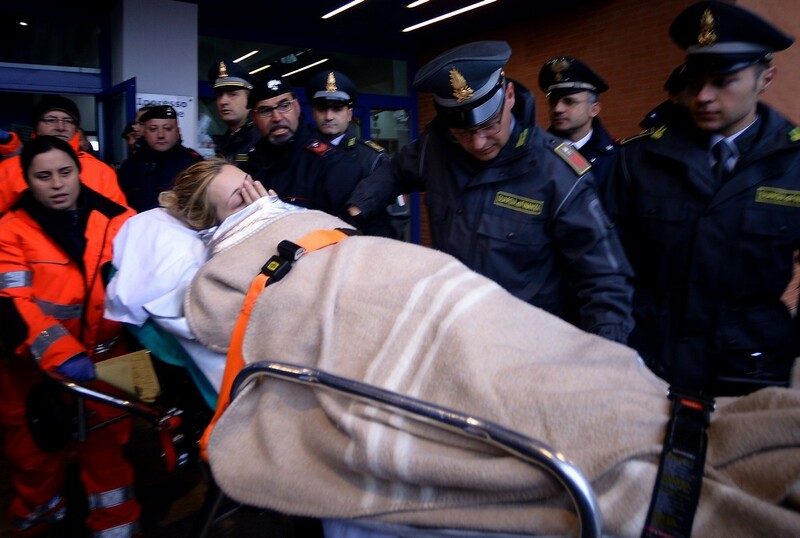 Teodora Doulis, a Greek woman whose husband Giorgios died in the disaster, was among a number of passengers who described the car deck - thought to have been where the fire started - as being slicked by fuel. "It stank of petrol. The ship should never have left port in that condition," she said. 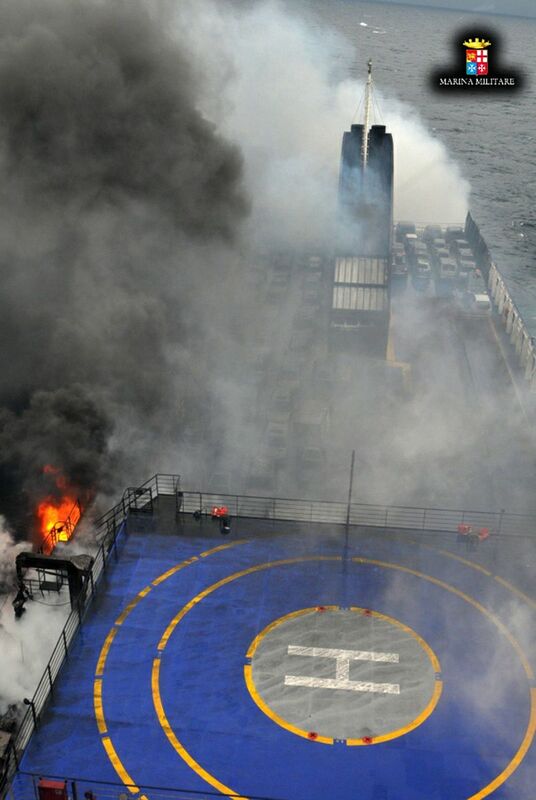 In the absence of leadership from the crew, the intensity of the fire, which made metal surfaces so hot that shoes were melting, led to a panic which exposed the worst side of human instinct, according to survivors. 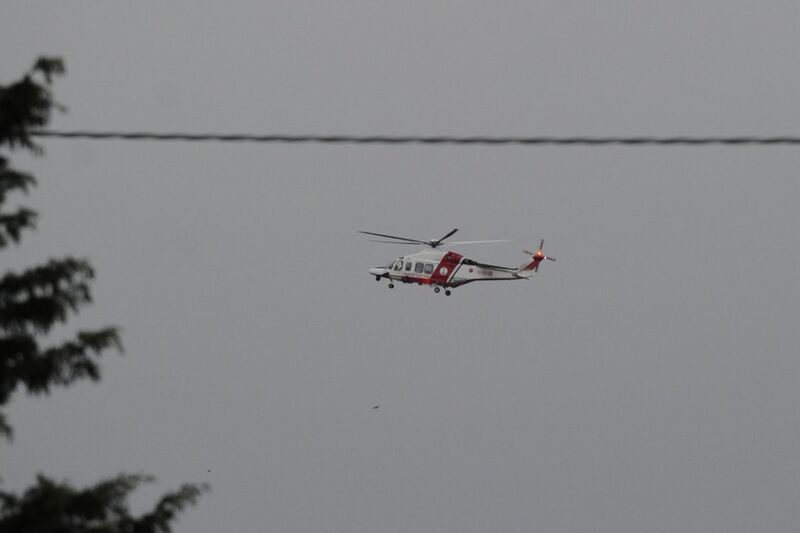 Ute Kilger, a passenger from Munich, Germany, described how she had witnessed a portly middle-aged man shove past women, children and the elderly to ensure he was winched to safety before them. "He just went and sat in the basket, which was clearly designed for children. 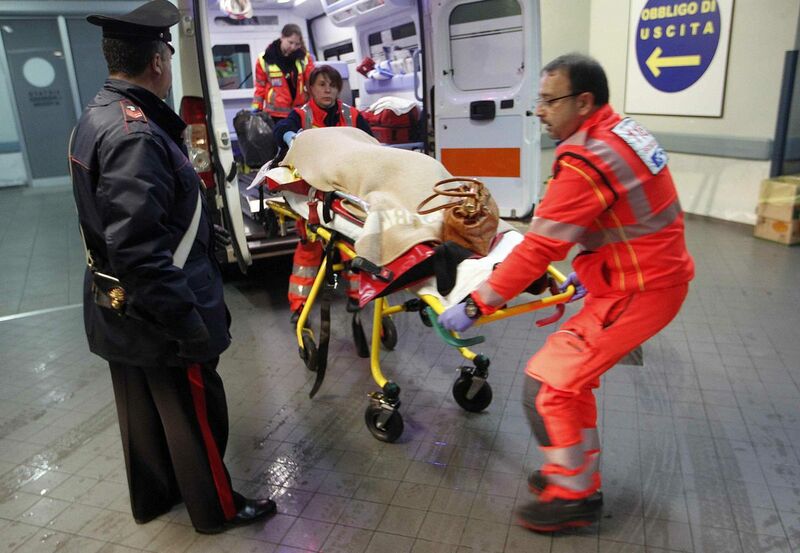 I didn't know whether to laugh or cry," the 45-year-old lawyer told Italian media. 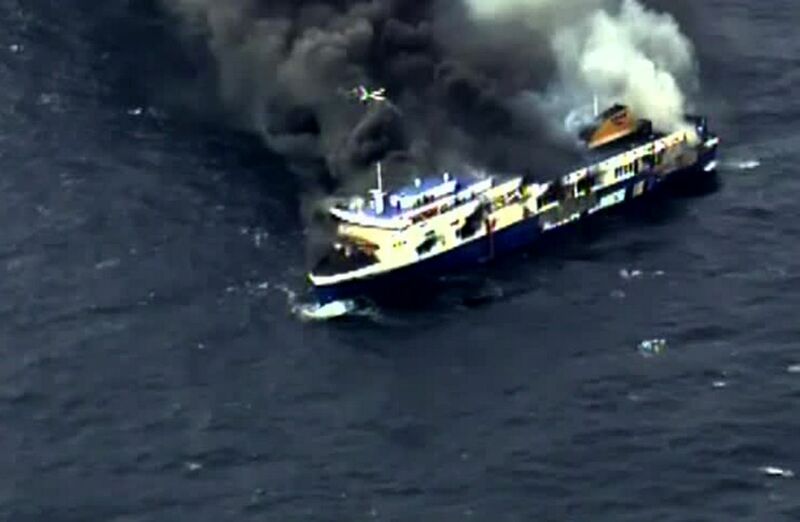 Passengers from a car ferry, ablaze off the coast of Greece, arrived in Italy on Monday as rescue teams worked to save 149 people still stranded on board 24 hours after the fire started. 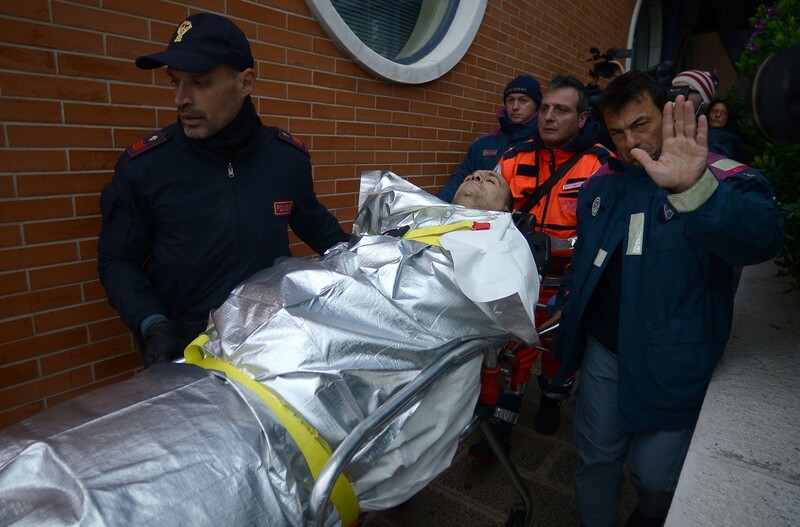 Rescuers worked through the night to pull 329 people off the multideck ferry, the Italian navy said. 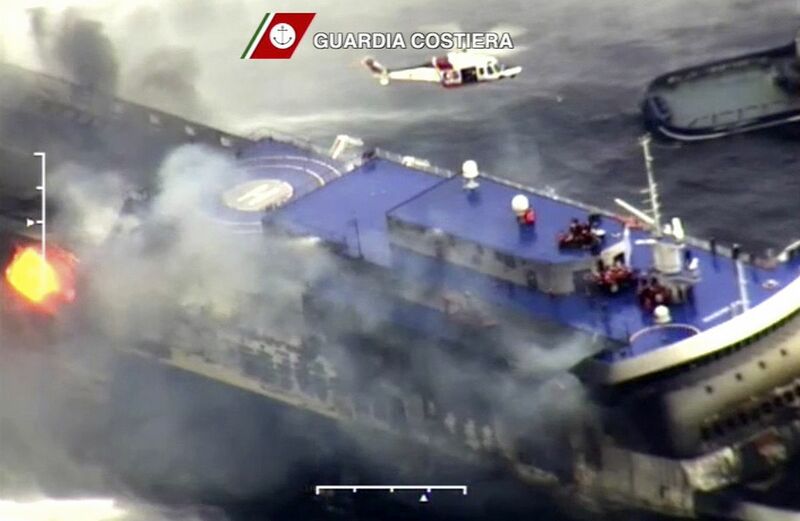 Helicopter crews have been airlifting passengers from the upper deck of the Norman Atlantic, which caught fire in the early hours of Sunday and began drifting in rough seas between Greece and Italy. 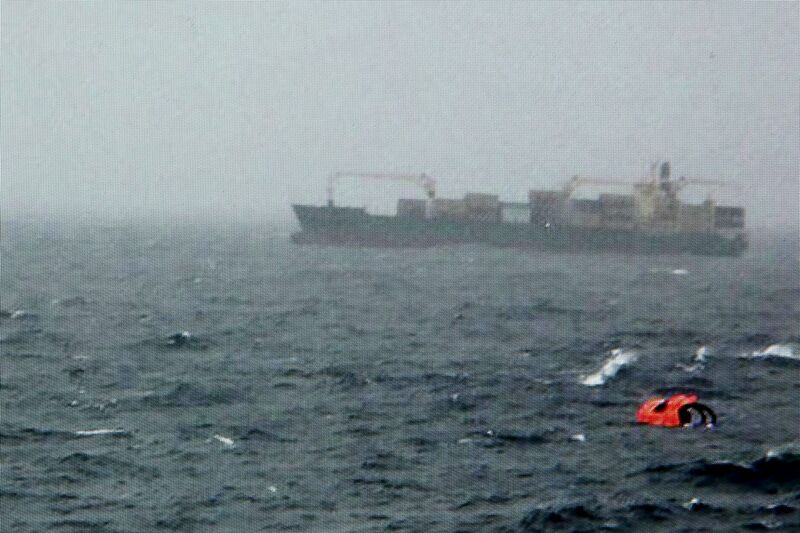 Bad weather hampered efforts overnight to attach cables to the ferry for towing, and a tug boat is expected to reach the ship to make another attempt by 10 am local time (5am Singapore time), Greece's shipping minister Miltiadis Varvitsiotis told Skai TV. 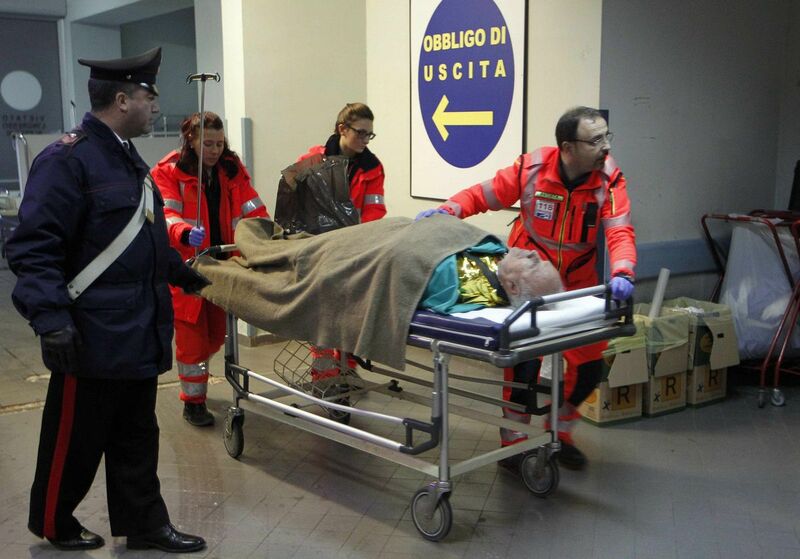 No decision had been made on where the ferry would be taken, he said, although there had been expectations that it would be towed to the Italian port of Brindisi. 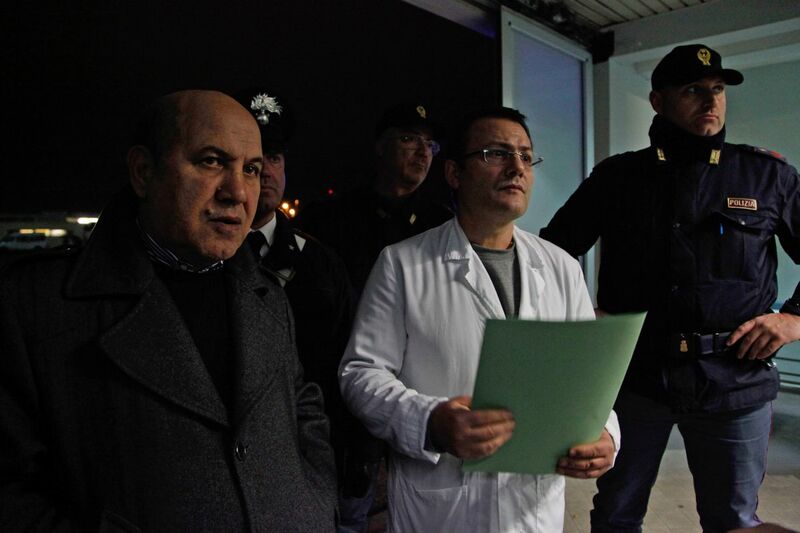 A merchant ship carrying a reported 49 of the ferry passengers, including four children, arrived in the southern Italian port of Bari on Monday and Italian Admiral Giovanni di Tullio told Sky TG24 they would receive medical attention. One man died on Sunday and four people were reported to be injured. 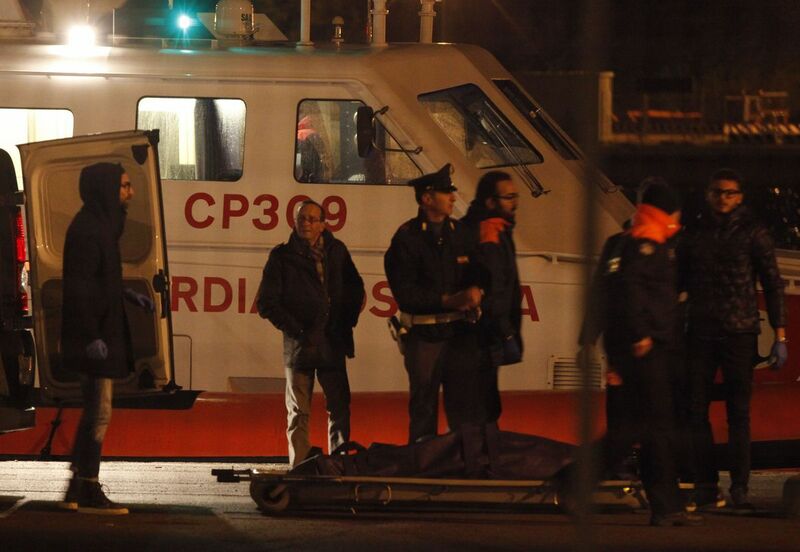 Several passengers have been flown to Galatina in southern Italy. 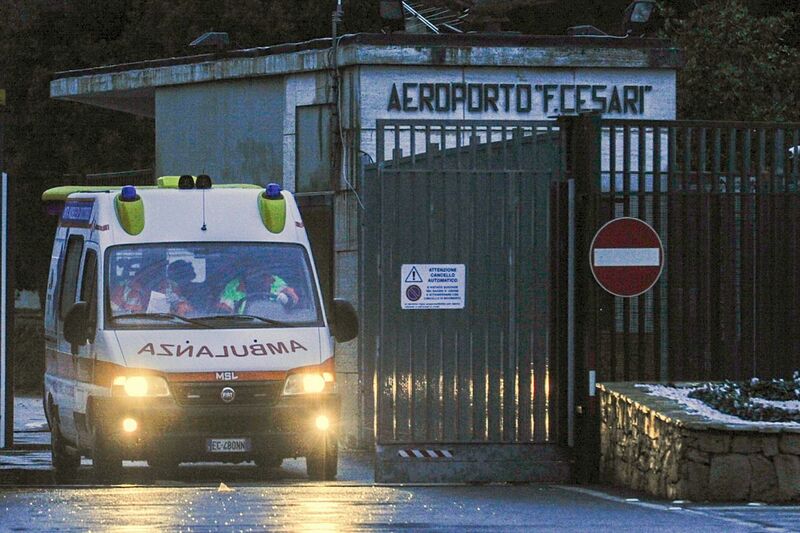 Rescuers were working into the night Sunday to save nearly 300 passengers trapped on a burning Italian ferry as coastguards reported one man had died in the high-seas drama. 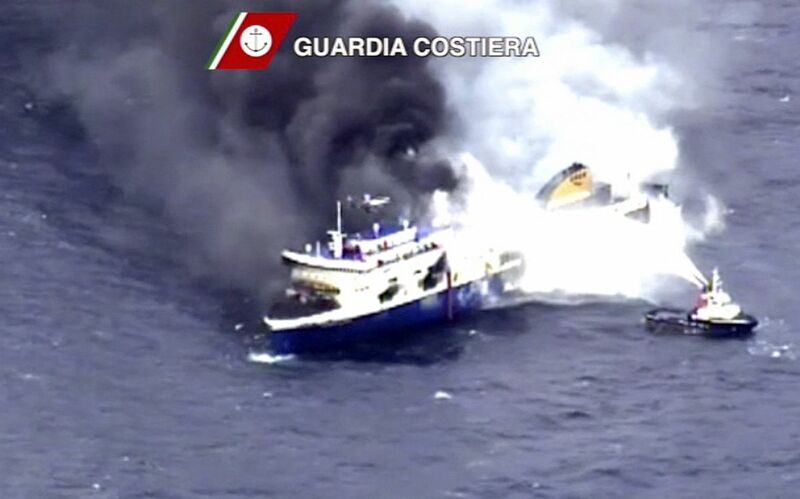 By late evening, Italian Transport Minister Maurizio Lupi said the flames were under control while the Italian navy said 190 people of the 478 on board had been evacuated. 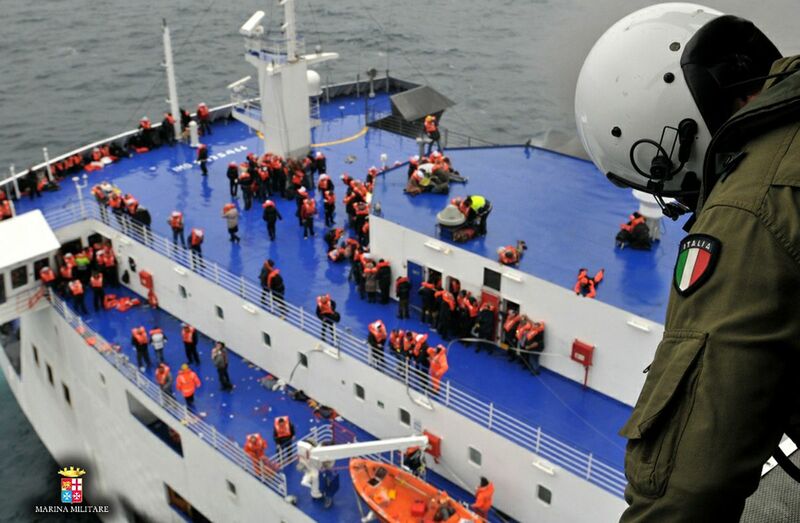 Throughout the day, strong winds and choppy waters hampered efforts by teams from Greece, Italy and Albania to retrieve more passengers from the " Norman Atlantic". 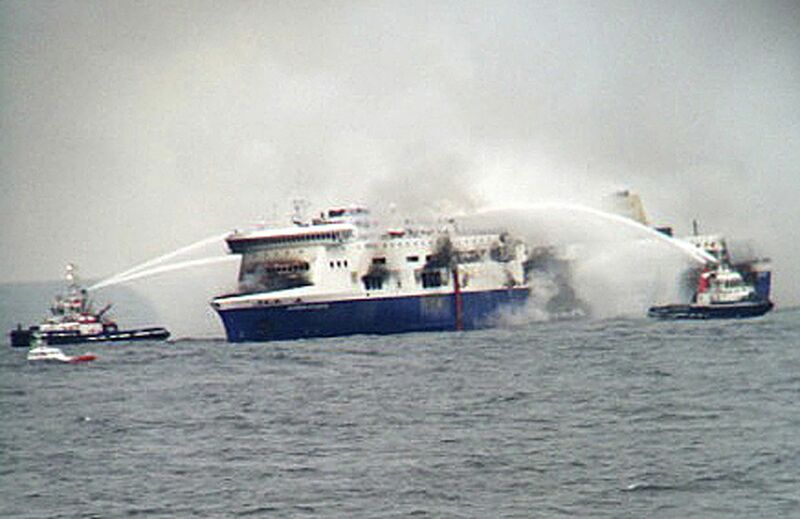 The blaze, which sent huge clouds of smoke into the air, was said to have started on the ferry's car deck in the early hours when the vessel was some 44 nautical miles northwest of the Greek island of Corfu. 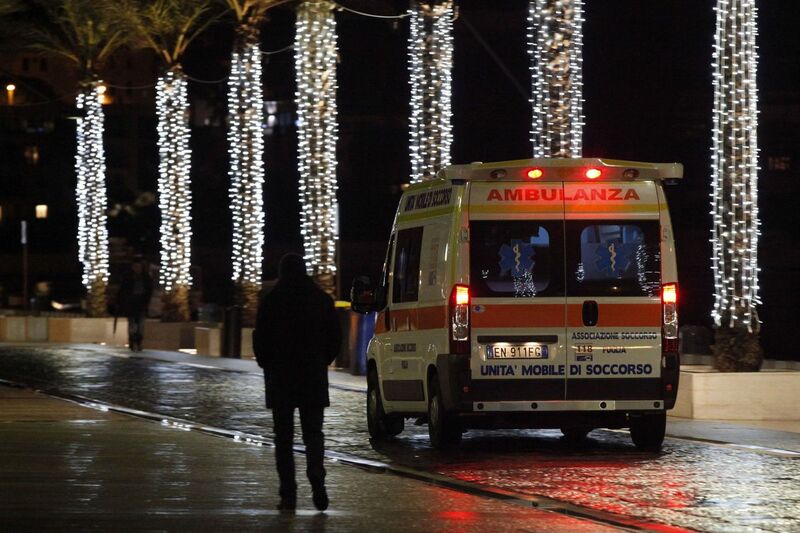 A Greek passenger who had fallen from an escape chute into the Adriatic Sea with his wife was found dead by Italian coastguards, despite repeated attempts at an air rescue amid six-metre waves. 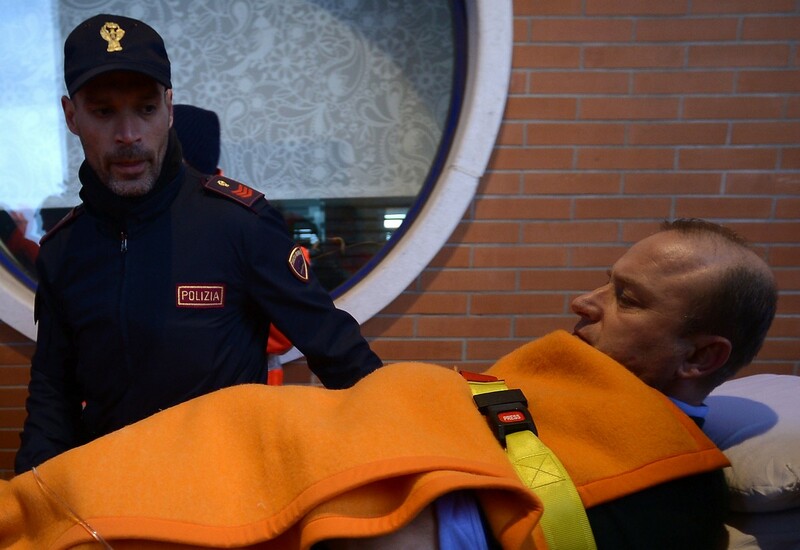 In desperate scenes earlier in the day, terrified passengers pleaded by mobile phone live on TV to be saved from the vessel, which was travelling from the Greek port of Patras to Ancona in Italy. 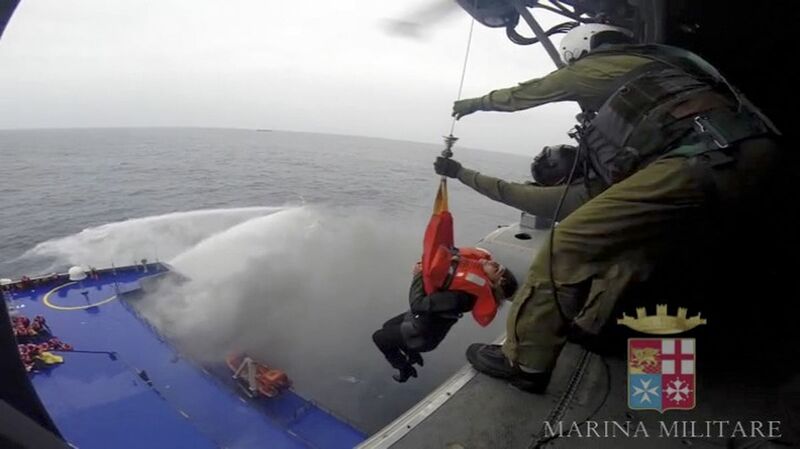 Alongside rescue efforts by a flotilla of ships, including nearby merchant vessels, helicopters were slowly winching passengers to safety two at a time. Freezing passengers huddled on the top deck and bridge of the ship told of their terror in calls to Greek television stations. Haulage company boss Giannis Mylonas, who was in contact with three of his drivers on the vessel, said there were between 20 and 25 tanker trucks filled with olive oil on board. 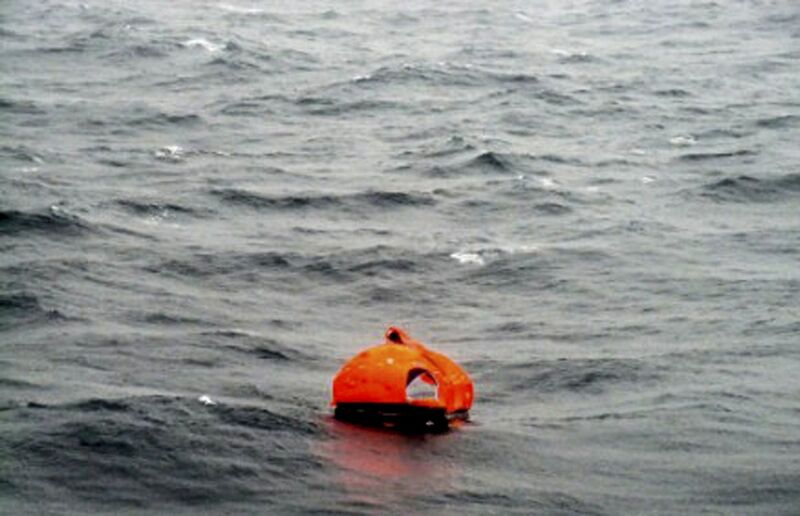 The Greek maritime ministry said 268 of the passengers were Greek, with the crew made up of 22 Italians and 34 Greeks. 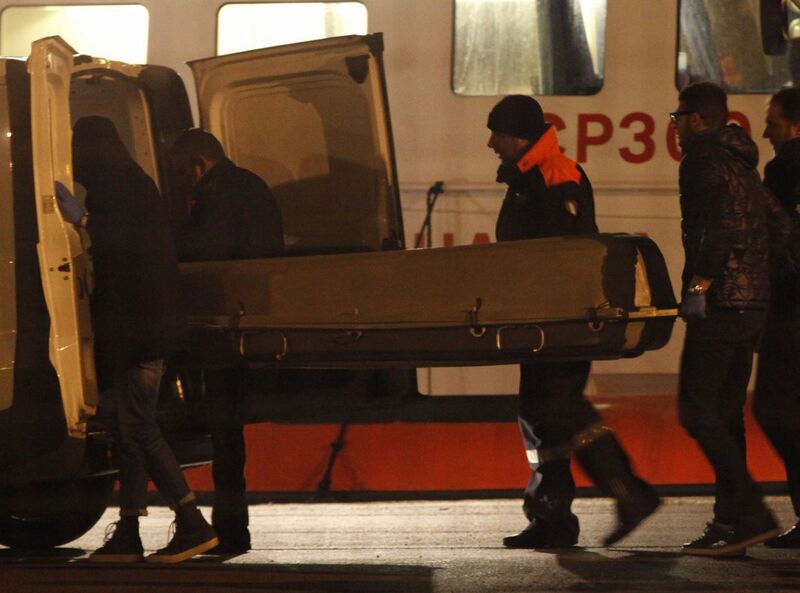 The rest of the passengers included 54 Turks, 44 Italians, 22 Albanians, 18 Germans as well as Swiss, French, Russian, Austrian, British and Dutch nationals. 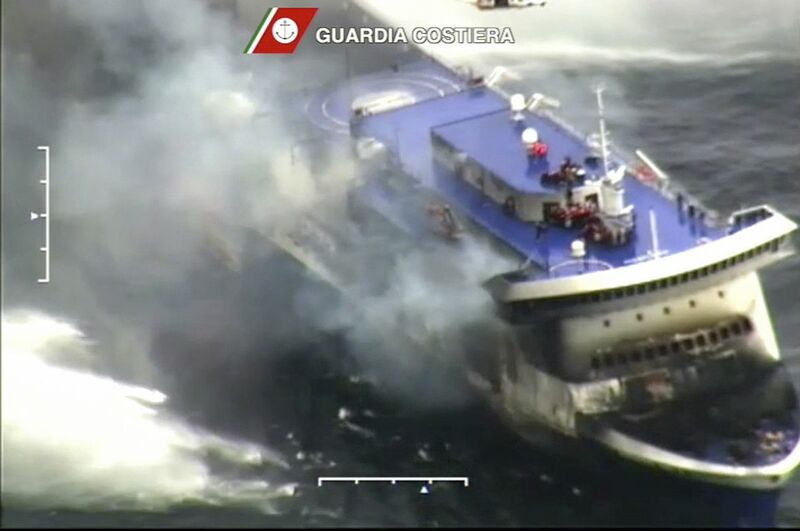 The car deck of the Italian-flagged ferry, built in 2009, was believed to have been holding 195 vehicles when the fire broke out. Two key questions for investigators will be why the fire gained such force so quickly and why it was not contained in the area where it started. 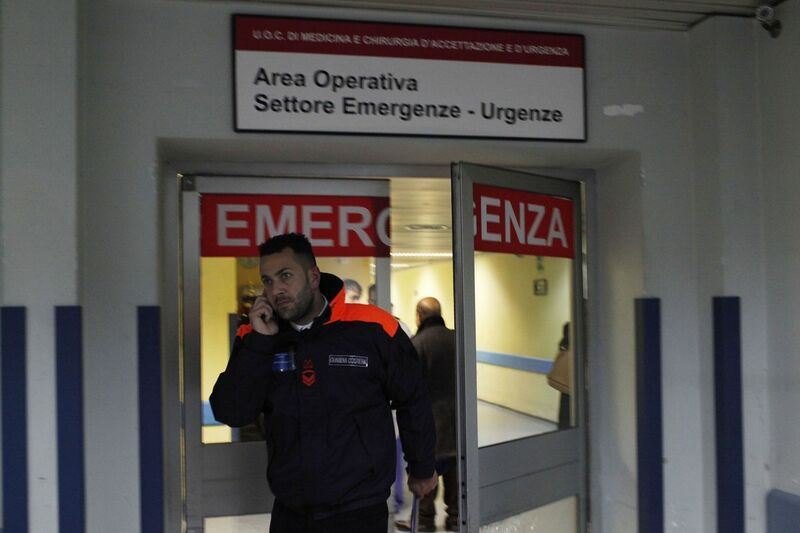 The ship's owner, Italian company Visemar di Navigazione, has acknowledged that a December 19 safety inspection highlighted a problem with at least one fire door but insists it was fixed before the vessel set sail. 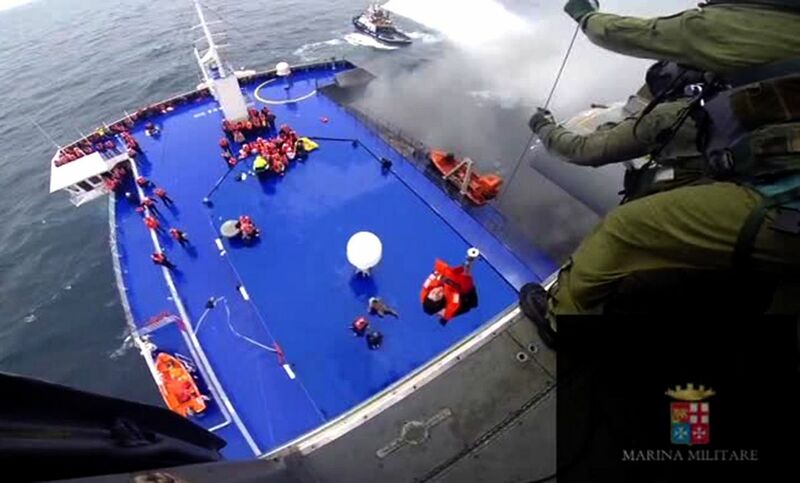 According to Paris MoU, a multinational body which oversees maritime safety standards, the Greek inspectors highlighted problems with more than one fire door as well as the functioning of some water-tight doors, emergency lighting and the availability of life-saving equipment. 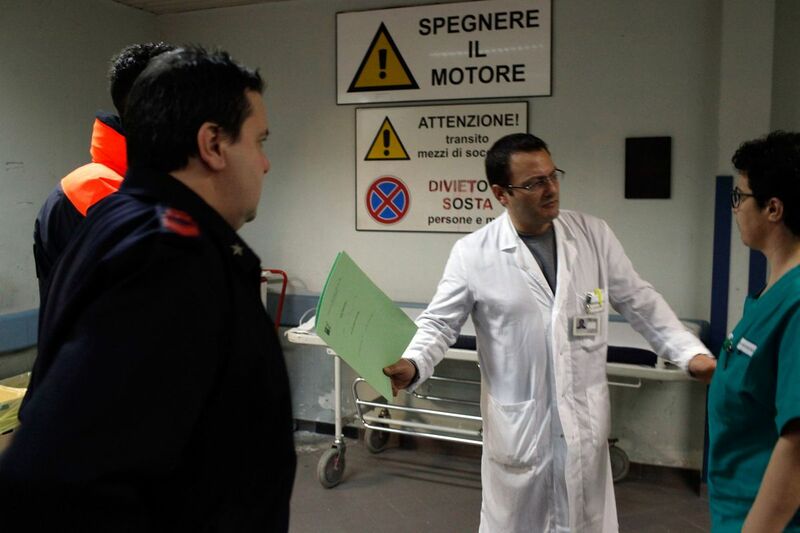 The deficiencies were all registered as having been addressed by the end of the day on which the inspection took place. But Richard Schiferli, Paris MoU's secretary-general, told AFP it was unclear whether all the problems had actually been fixed satisfactorily. 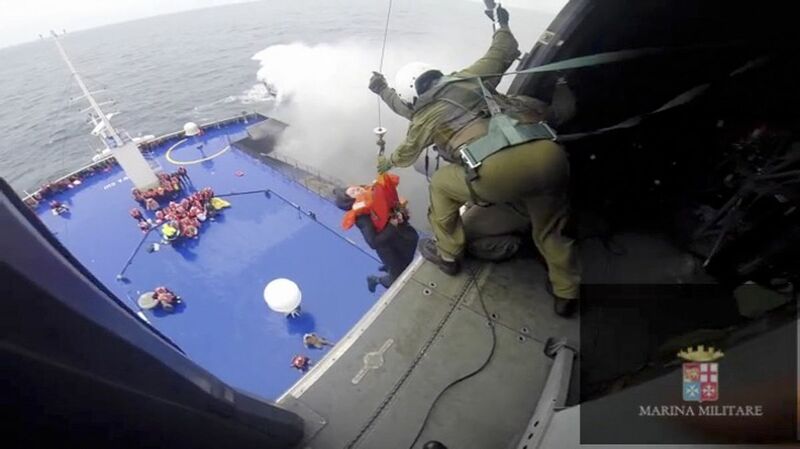 Given that the boat was in an unseaworthy state on the morning of December 19, investigators will also want to establish whether the crew made any routine or follow-up checks in the nine days between the inspection and Sunday's disaster.